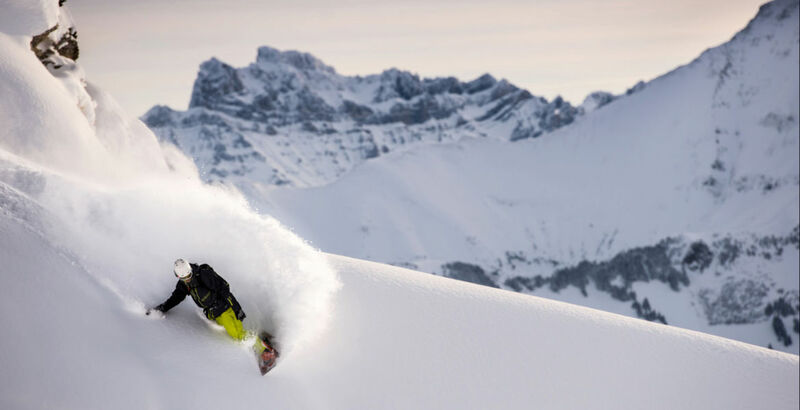 Discover the real off-piste spots of the Champery and Portes du Soleil ski areas. Improve your risk management outside marked trails. Our professionals, as a good manager of your security, will make sure you find the best snow for your dreams to come true. By default, the meeting point with your instructor is at the top of Champery cable car, where you will quickly get acquainted. The instructor will raise you questions on your ski experience, then will find the ground to begin the session. The lesson goal can vary according to your needs, desires, snow and weather conditions. The teaching approach can therefore differentiate according to motivations and capacities of the participants, but also according to the weather report and snow conditions. Your instructor will be your best friend for your blooming during your practice of the ski and will make every effort to guarantee safety, pleasure and performance. Private hire of a professional instructor, with "Brevet Federal", from Snow attitude ski school in Champéry according to the booked duration. Safety pack : back bag with shovel, probe and transmitter. It is advised to subscribe to an accident insurance for the practice of snow sports. In case of cancellation, the sums already paid are valid for a postponement until 1 year.